Nintendo has had its ups and downs over the years, and their popularity and sales meters read like a volatile share on the New York Stock exchange. Nintendo’s Switch was announced and through a hip delivery system we all got a sight at the machine and its features – and everyone rejoiced. It was like the Wii second coming! Pre-Orders are already sold out, and I’d imagine ebay and the like will be littered with overpriced consoles once it hits the market. So is the Nintendo Switch a good thing, or is it something that was rushed out to production and is seriously lacking in its capabilities? Nintendo fans have waited for an HD console for the longest time. When the Wii U came out – fans rejoiced, but those thoughts were soon eradicated by the consoles shortcomings. So when Switch was announced, and along with it the stats and partners that were on board – fans again were excited, and rightfully so. 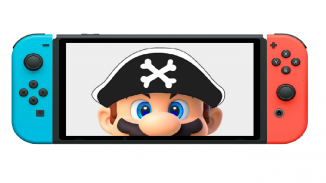 The initial trailer was in the typical Nintendo flair – flashy, showing off the hardware and capabilities in a manner that made one think – you know, I could use that? But after the golden shine wears off – and you look deeper into the console and its peripherals and tech, you can see something smells and looks unfortunate. First off, let’s look at the price tag. $299.99 is the price of the console and controller. That’s it. No built in games, no second controller – those come separate and at exorbnant cost. The console is boasting HD graphics and mobility for “tablet” gaming. That is a new feature, but when most of gamers play at home – if the graphics are not up to par with its counterparts, that price tag is a little much when you can get better graphics and several games for the same price on Xbox One or PS4. And while we know a little about the hand held (it can also be charged while you play at home), we can only hope the battery life on the detached console lasts longer than the Wii U’s peripheral, but unlikely as it has been said 2.5-6 hours of play, depending on the experience. Most of the games available at release will be fan favorites, but games to be released later are games we have all played – like Elder Scrolls Skyrim. Other features with the system seem almost unwise. No inherent voice capabilities – that will be handled through a phone app. Why wouldn’t I just use my phone then to talk? Online will have a subscription service – but unlike Live and PSN their features and offerings don’t match. Similar to a Games with Gold, Nintendo will offer an NES or SNES game every month – but only for that month. Instead of gamers being able to keep said game – they have the ability to rent it – then it goes away. With a potential premium price on a monthly subscriptions the service seems to lack basics that are offered by competitors such as party chat, party gaming and the catalog of free and even discounted games. Many studios have lined up to put their games on Switch, but other services are lacking. Netflix, a serious company with multiple contracts with Microsoft, Sony and even local cable companies – won’t have streaming capabilities with Switch. There isn’t any sort of Blue Ray player on the console. While marketed as an entertainment system, it is seriously lacking in the extras that we take for granted on One and PS4. Backwards compatibility is nonexistent, mainly because Switch utilizes Card gaming, not discs. Coupled with the monthly rented releases – unless they initiate a store of some kind – it looks like gamers will only be able to play forward and not back. And even if there is an online store – the storage capability of the console will be seriously limited. Marketing of the console has been largely home, when unfortunately it focuses too much on portable gaming – like 3DS. As a reviewer said it best, this is a Portable gaming system that plays on my TV. But is that necessarily a good thing? All this being said the Nintendo Switch will sell. 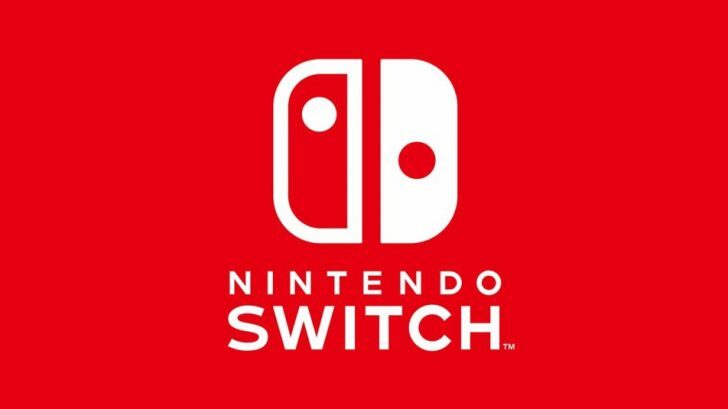 It will set records, the masses will panic and people will go out of their way to get on the bandwagon that is Switch. Unfortunately I do believe there are many negative hills to climb and unless things change, come March 3rd I personally will not have the Nintendo experience. 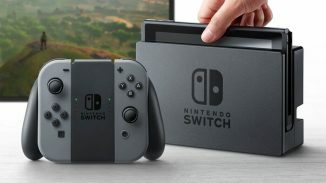 What are your thoughts on some of the negative talk with the Switch? Have you cancelled your pre-order or had second thoughts? Make your comments below. And as always follow ThisGenGaming on Twitter @TGGamingReviews for all the news, reviews and commentaries in the gaming industry. 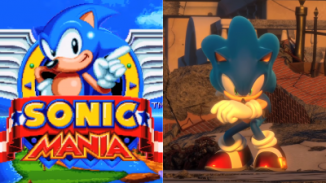 Should Sega and Sonic Team Delay Sonic Forces after Sonic Mania Positivity? Passing on the Switch, since I feel burned by the previous systems after the Super NES. I’m not into Zelda, and nothing else interest me. I’m hoping 2018 will show more action games, and hopefully a new Samus Aran game, but I doubt it. After all the Nintendo lies about supporting Wii U owners and then pulling this? Switch can rot on shelves. I won’t be buying the Switch at launch, got badly burnt by the Wii U. The negatives outweigh the positives. It’s way too expensive, I’ll be using it as a console only, I’ve zero interest in portability. It’s barely a step up from Wii U in terms of power, there’s no compelling 3rd party support, crazy expensive accessories, online, anything we’ve heard so far about that sounds awful. They’ve a cheek asking for money for a subscription when they’ve no credibility in this department. It’ll do well for the first year maybe. Ultimately it won’t do well. It should do better than Wii U, though that’s no saying much at all. It won’t get the competition audience and the casuals won’t care for it, especially at that price. That’s not mass market friendly. Nor are the game prices. Zelda on Switch is at least €20 more expensive than the Wii U version. Why? And overpriced late third party ports too. €65 for Super Bomberman R. You’re having a laugh. That’s Konami trying to milk the early adopters with a minimalistic effort. EA? FIFA? The list is endless. i think its perfect! they need to rush faster so i can play zelda. im glad its one good screen and that it connects to the tv. it will also be cool to take games like disgaea 5 on the go. im a little disappointed that the limited edition zelda sold out so quick, i will try to snipe one of those at launch… otherwise i may just wait for a custom switch. but still! the switch is awesome! nintendo is the opposite of microsoft unwilling to risk hardware losses while microsoft is unwilling to risk investing in ip… so it will always be a situation where third party support is limited but honestly nintendo doesn’t need titanfall 2, they just need unique game experiences which they will. it will always be about the games nintendo makes zelda, mario, pikmin, fire emblem, i hope they invest in some big time new ip and since i haven’t played a nintendo in awhile it will be cool to catch up on the virtual console, im hoping to play dragon quest 7 even if the 3ds graphics are in my opinion less than the original.